he short answer? You can't. Even if you've read every business success story out there, because every company is different, there's simply no guarantee that your chosen sales methods will be effective. To some extent, you're probably already aware of how your company is doing; you know how many clients you're pulling in, how big of a profit you're making, and so on. But if you're not tracking every marketing channel, it's impossible to get a feel for how each individual approach is faring. Everyone has different preferences regarding how to test their sales tactics. Here are just three ways that you can track your company's marketing success. This method, also known as split testing, is a means of determining which of two design formats is most conducive to positive results -- namely, lead conversions. This tactic involves publishing two different versions of your website or marketing newsletter and then measuring the impact of each campaign. For instance, you can compare the number of sign-ups, downloads, or appointments derived from each source by using various analytical tools (to be discussed later). In this way, you'll have the quantitative data necessary to justify using one design over the other, taking the guesswork out of web optimization. Perhaps the biggest advantage of A/B testing is that it allows you to capitalize on your existing web traffic. Attracting more website views or email addresses can be costly. By using the split testing method, you can learn how to increase conversions for a relatively low cost. Google Analytics is often considered a must-have tool for tracking marketing success. The service allows users to gather reports on a variety of different indicators, including web page views, referrals, audience demographics, email open rates, and social media engagement. What better way to find out how well your SEO is faring than by checking in with the number-one authority on web optimization? There are a number of steps which must be taken if one wishes to make the most of their Google Analytics use. The first thing you should do is begin tagging your marketing campaigns. This allows you to track the progress of anything from your email newsletters to your LinkedIn ads. Visit the URL builder page and fill out the form indicating your campaign source, the medium of communication, and the name you'd like to assign to that campaign. In this way, you can get a better sense of how successful each operation has been in bringing in leads and promoting conversions. The next step in expanding the usefulness of your Google Analytics is to manually define your goals. This can be done by following the instructions below. Creating goals lets Google know which specific conversions you wish to evaluate and makes it easier for the Analytics program to track your marketing performance and lead sources. Google Analytics is useful not only for tracking conversions, but also for understanding other aspects of your online marketing success. For example, Analytics offers insights on visitor engagement -- that is, how long people stay on your site and what they do while they're there. It can also tell you what users are searching for and which site they visit after yours, lending you some understanding of how your customers behave online. To get the full story on how Google Analytics can help you understand your marketing success, check out the Analytics homepage. Tracking which channels are eliciting the most phone calls is another great way to determine how you should be spending your marketing resources. One effective method of doing this is to use different phone numbers for different marketing sources and advertisements. Use a call-tracking service to redirect each number to your office phone. You'll then be more aware of which sources are most conducive to client communications -- and which ones aren't quite cutting it. This will help you to not only better understand your marketing strategy, but also restructure it, if necessary. 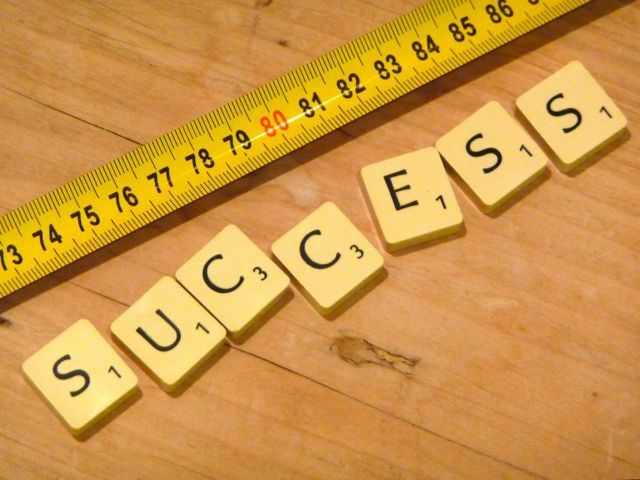 What tools and tricks do you use to track your marketing success? Share them below!